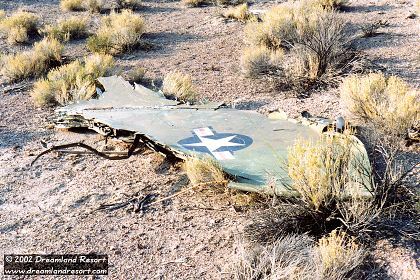 There are dozens of aircraft crash sites in the desert around Rachel and the Nellis Ranges. 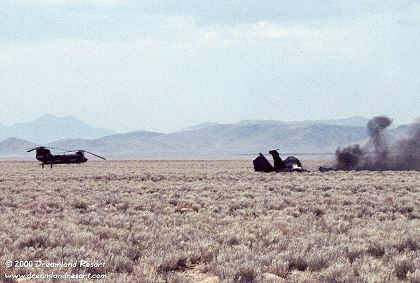 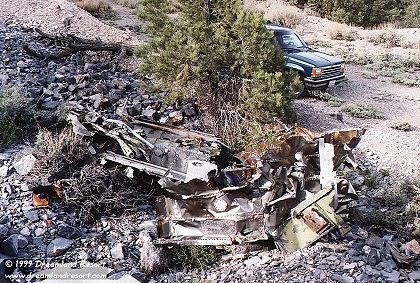 Most of the sites on public land have been cleaned up pretty good soon after the crash, like the Harrier crash in the southern Quinn Canyon Range in the late 1990's. 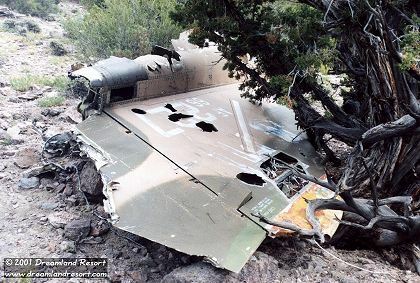 However, there are a few sites where most of the wreckage is still intact, mostly in remote locations. 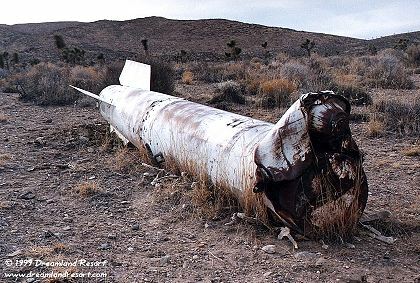 In order to preserve the sites we do not publish the exact locations. 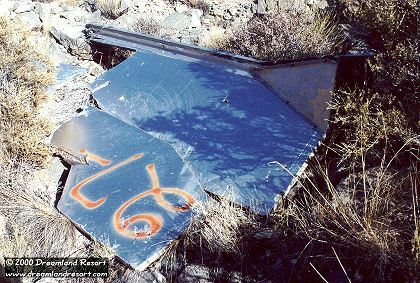 The table below lists all known crash sites around Rachel, NV and the Northern NTTR. 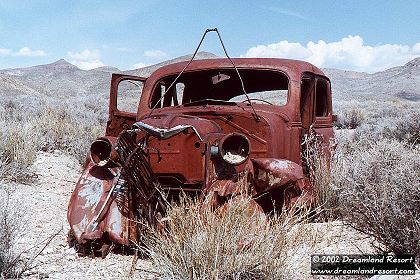 With friendly permission by the official Rachel, Nevada Web Site. 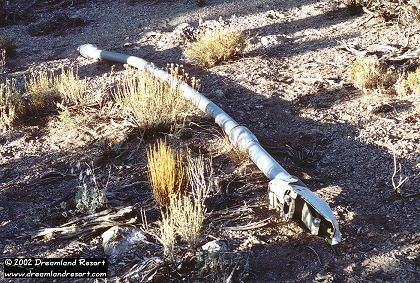 Thanks also to Chuck Clark from Rachel for providing much of the information below. 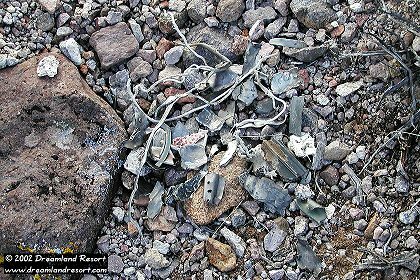 Click on any of the photos for the full article and more pictures.